Last night was spent in the best possible way - a summertime #PicnicWithMercure at Somerset House! After getting absolutely drenched on the journey there, the weather remembered it needed to be on its best behaviour and dried up just in time for me to be able to bring down my umbrella before arriving. Mercure Hotels is a name I'm already familiar with having stayed at a few of the Accor Group hotels, though one that stands out was my food-loaded stay at the Queens Hotel Cheltenham (now MGallery) last summer - mmm, still dreaming of that afternoon tea! For yesterday's picnic extravaganza, they truly picked the best location for the event; each and every step you took was watched from above by towering architecture. With the temperamental weather in mind, I wore a fairly simple outfit with a black fur-collared jacket at hand ready for any potential drop in temperature - I mean, this is England we're talking about! 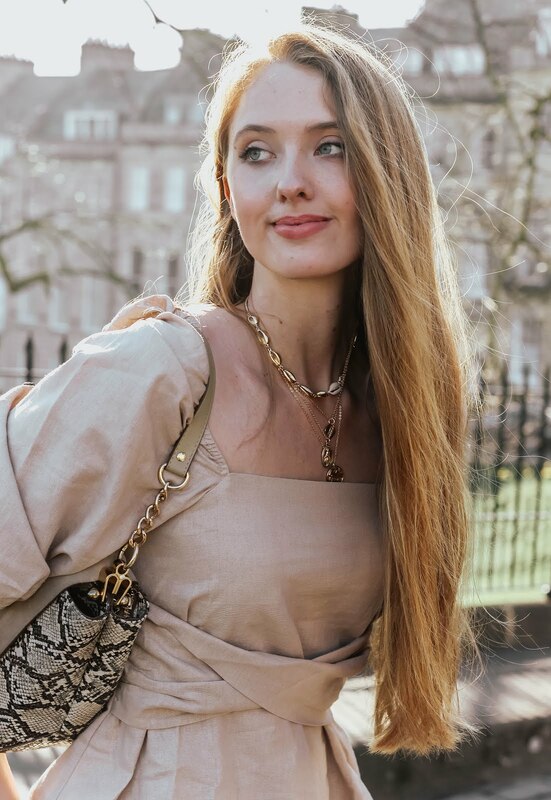 One of my recent loves is buying shirts three sizes larger than needed to achieve the oversized look, without opting for the ready-made oversized shirts that tend to drape to the point of being unflattering. Anyway, to my relief it was entirely weather appropriate as the sun came out, and stayed out. I've always been a bit of an 'observer' and so for a while I grasped the opportunity to simply sit and watch - this is far less creepy than it sounds, promise. Happy guests meeting and greeting each other as they sat down underneath the sun to drink some of Mercure's Perfect Picnic Prosecco, and staff working the 5-8pm evening session with smiles on their faces. Everyone was so upbeat and cheerful, which kind of does the talking with regard to just how well the #PicnicWithMercure was received! So, the question is - what did I think of the Tom's Kitchen picnic hamper? Incredible, totally incredible. The variety was fab and featured a whole range of treats, including toffee popcorn and generous desserts, as well as healthy baguettes and salad options. Put it down to my British heart, but there really is something very special about sitting down and cherry-picking from a picnic hamper - it resembles that feeling of opening your packed lunch box up as a kid. What will you find? Who knows. Seriously though, super impressed. Out of all the delicious options found in my Tom's Kitchen hamper c/o, my favourite item was most definitely the scotch egg. 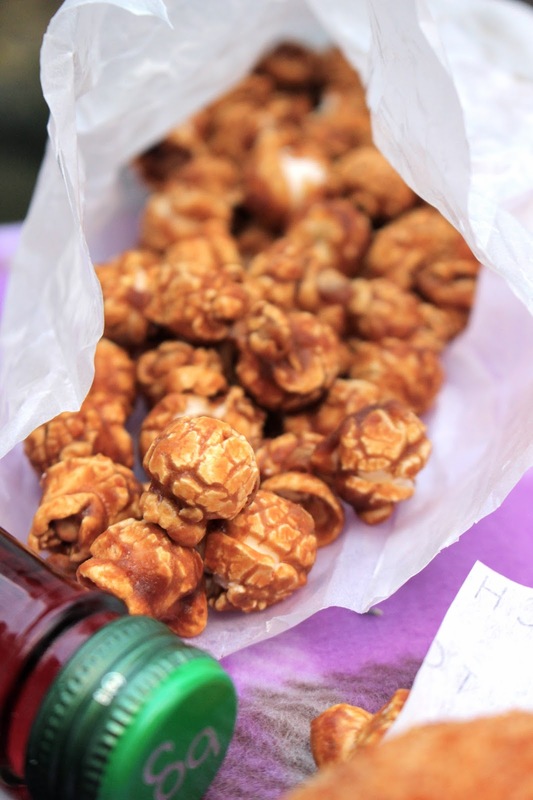 I've got a bit of a 'thing' for them this summer and so the enormous breadcrumb-covered scotch egg ticked all of the right boxes - as did the toffee popcorn! I can't remember the last time I enjoyed a bag of popcorn, so it was a really nice treat to find a bag in the hamper waiting to be indulged in. This event definitely helped start the weekend in just the right way - amazing food at an amazing location, which come to think of it is pretty much the Mercure way! beautiful pictures and what a great little picnic. This sounds and looks like an amazing event and that picnic hamper looks brilliant. The toffee popcorn especially has really caught my eye. What a way to start a weekend! This looks lovely, and your outfit is seriously flawless. You're living the life Gabrielle! i've been to london so many times but i managed to go to somerset house only this winter and i was immediately in love with the architecture. even inside is gorgeous!! Beautiful photos,I'm sure you had a great time.I really like toffee popcorn and that picnic hamper is amazing! The detail work on the ceiling of the hotel is amazing. I haven't attended a picnic since I was a child and by far your food options looked way better than the traditional picnic fare. Plus the added bonus is the alcohol and bar. Lol. Besides loving your outfit, all the photos from this picnic are just amazing! It really seems like you had an amazing time! It looked like a fabulous event. I really want some toffee popcorn now. such a fun event gabrielle! 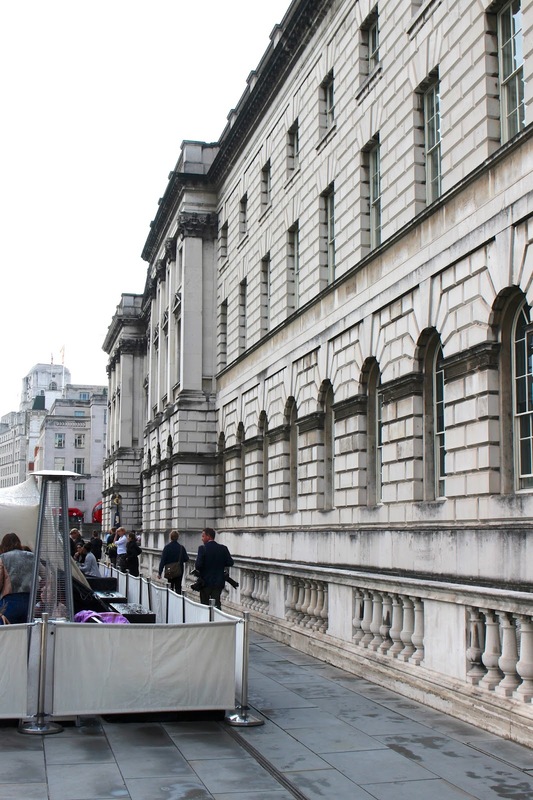 the entrance of somerset house is just beautiful and so is your outfit! This looks like such a fabulous event! You're right, it seems like a perfect start to the weekend Gabrielle! That sounds like a lovely time. A lot of people think of parks and trees when they imagine a picnic but urban picnics are really nice too. Also - I don't think watching is creepy. I'm a people watcher too! Amazing pics! Thanks for sharing darling! Love it! OMG, British weather, right?! Why can't it make up it's mind? Thank god it cleared up though. What a plush picnic! Wish I was there! Your photography skills are insanely beautiful! My fave vegetable crisps!!! Great event Gabrielle! and you look chilled and happy! Such a great idea for an event & I am so excited for you that you were invited to it, hon! That picnic hamper is packed with some serious yummy goodies :) That popcorn looks sooo delicious. Hope you had a fab weekend, Gabrielle! This picnic sounds so nice and so delicious! 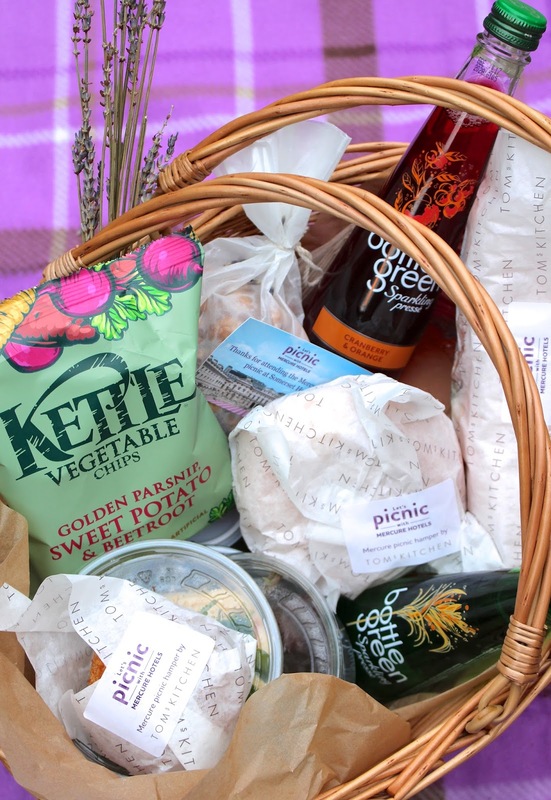 Your picnic adventure at Somerset House looks so lovely! I haven't visited the house before even though I have heard so much about it, it does look beautiful and will have to pay it a visit sometime. Even though the location is shot in London the architecture doesn't look authentically British actually, if I were to glimpse at the interior I would say French or Roman, very unique and beautiful. The Tom's Kitchen Hamper looked delicious, lots of tasty treats in there that's for sure! Looks like you had such a lovely time and you look beautiful as always! Wow! Such a pretty, beautiful place! I love your photographs! Looks like a lovely picnic! You're so lucky!! You are around so many beautiful locations which allow for such great content. :) Keep the beauty coming! I spy Erica! I was watching her snaps when she went to this, haha. Looks like a lovely event, I wish I lived in London so I could go to some! Your hair and legs go on for days. You're a stunner! What a lovely event in such a gorgeous location, dear! I'm so glad weather didn't ruin it. Oh well, the event looks so amazing that I doubt it could've been ruined at all. ;) The goodies from the picnic hamper seem so yummy!! This makes me miss being in London so much! I love your outfit and all of your pictures. You always capture every event you attend so beautifully. The Somerset House is so grand!! Looks like you had a lovely time there, love your outfit! This event looks incredible - what a way to kick off your week! I noticed the cupcake flower pots in the back and omgosh I die!!! You also look gorgeous - your hair still looks perfect even after the rain!! The event looks amazing and so much fun. Why don't we have something similar here or maybe there are none in the small town I live in? The picnic basket is brilliant, what a lovely selection of stuff. What a fun + yummy event! Love the setting- and what you wore was perfect! What a fun and beautiful event! The picnic hamper really does look absolutely to die for...those sodas are so gorgeous! Great photos! What an amazing place to visit! I love picnics, and this looks like such a fun, cheerful event! Somerset House is such a fantastic location for a picnic, too. I adore scotch eggs too, and that toffee popcorn looks SO tempting. Oh such a wonderful location and how lucky you were with the weather! TBH when it's sunny it is actually quite warm don't you think? You looked lovely and I can only imagine how delicious the hamper must have been (I love the Green Bottle Elderflower sparkling water!). What a lovely way to spend a weekend! It looked like a fabulous event. The picnic hamper looks really good! 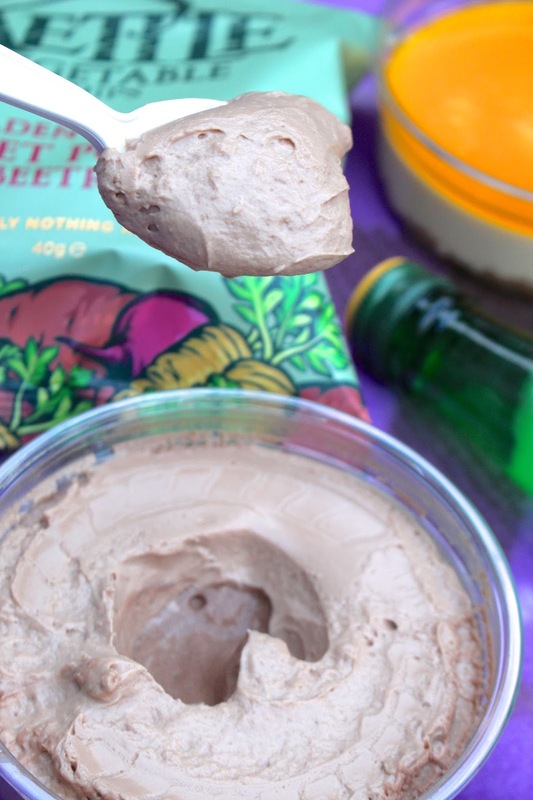 Those Kettle vegetable chips, yum! Thanks for sharing such a wonderful event Hun! Probably one of the best picnics ever! Everything looks delicious and I love your oufit! Luckily the weather made way for a picnic for you there, and yes, I would say, the outdoor with its interesting architecture and fresh air after the rain looks so much more enticing than the VIP tent (for me at least), I am also an observer, much like yourself there. Sometimes, it's fun to just watch and for me, take pictures at functions like this one. It is summer already?! I wish to have a picnic like this here, but the erratic weather here (hot and rainy) can be a challenge. By the way, I absolutely LOVE your oversized T-shirt look!! So casual chic and effortless. Hope you are having a fantastic week there! why, I wouldn't mind attending this picnic myself. This place is pure magic...well, you never know, I hope this year I finally make it to England, I've been planning to visit it since forever. Anyway, you always look so lovely and pretty!!!! with that gorgeous mermaid hair....lovely pics. ...and I must add that the food looks very inviting. It seems you had a proper picnic!!! !